The Sterile Processing Technician program consists of 86 hours theory, 34 hours of skills lab and 200 hours of clinical externship. 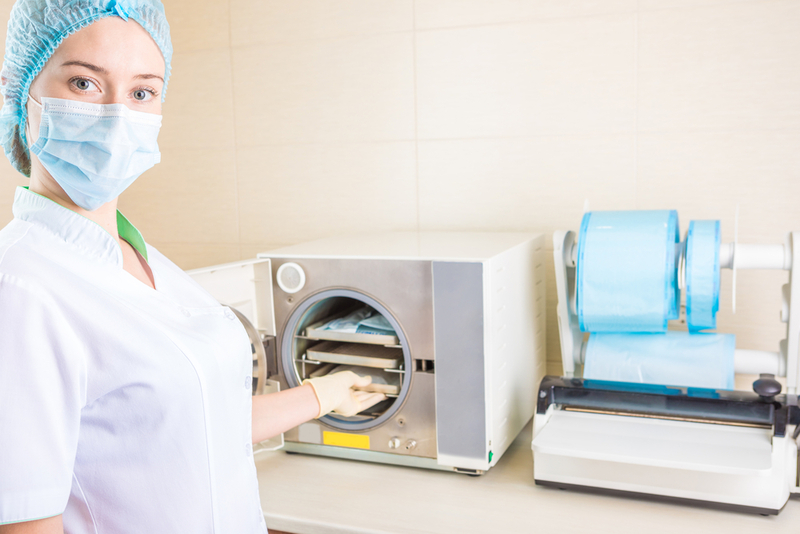 The curriculum is designed to provide qualified individuals an opportunity to acquire the knowledge, attitudes and skills, which will enable them to become safe and competent Sterile Processing technicians. The classroom instruction consist of 86 hours of theory and 34 of skills lab, where the students’ knowledge and skills are developed in the following areas: medical terminology, anatomy and physiology, microbiology, infection control and prevention, government regulations and standards, instrument identification, decontamination and cleaning, sterilization, packaging and storage, inventory management, quality assurance, and safety. Clinical externship consists of 200 hours of hands-on training where the students learn to decontaminate and sterilize instruments, medical supplies, equipment; sort mismatched sets of instruments, trays, and medical equipment: perform sterilization of endoscopic instruments; examine, test and maintain certain items such as autoclaves; maintain clean work area. After completion of the Sterile Processing Technician class of 86 hours theory, 34 hours of skills lab and the 200 hours of clinical externship, the student will receive a Certificate of Completion. International School of Nursing is a private institution, approved to operate by the Bureau for Private Postsecondary Education, meeting compliance with state standards. The Sterile Processing Technician Program at International School of Nursing will enable the graduate to take the Certification Board for Sterile Processing and Distribution (CBSPD) Exam or International Association of Healthcare Central Service Material Management (IAHCSMM) Exam.